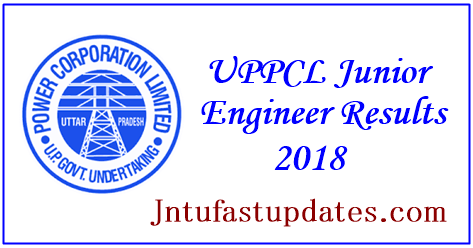 UPPCL JE Trainee Results 2018 & Cutoff Marks: Uttar Pradesh Power Corporation Ltd. (UPPCL) has recently organized the Junior Engineer (JE) written test across the state. The examination has been conducted for 2 days 27th and 28th August. Almost 85% of applicants have attended the Junior Engineer written test as per the schedule. The organization has released the UPPCL JE Answer Key for 27th and 28th exams on its official website, uppcl.org. Hopefuls who do not yet downloaded the answer keys can download UPPCL JE answer keys from the official portal and estimate the score by comparing with the answers given in it. Hopefuls who have already checked with the answer keys and estimated the score an get the update regarding the UPPCL JE Result from this article. Candidates can stay checking the official Websitel, uppcl.org to check the results and cutoff marks. Uttar Pradesh Power Corporation Limited is the state level power supply organization that works in many zones across the state. The organization yearly offers various job notifications for the interested and eligible aspirants. This year the UPPCL has announced notification 05/VSA/2017/JE for 226 Junior Engineer (JE) posts. The department announced UP Power Corp. LTD: 71 vacancies, UP Power Transmission Corp. LTD: 155 vacancies. Many of the eligible aspirants have applied for the announced posts. As the selection process includes the written test and interview rounds, the UPPCL has conducted the written test on 27th and 28th August. Candidates who had appeared for the test can expect the UPPCL JE results shortly at uppcl.org. The UPPCL is going to announce the Junior Engineer Result soon on its official portal, uppcl.org. Usually, the result will be released within 3 to 4 weeks after the examination. Candidates who have competed for the examination can expect the results in last week of September or first week of October. Candidates can keep checking the official website, uppcl.org to check the result date. To qualify the UPPCL JE written test, candidates have to score atleast 30% of marks. Candidates who score the qualifying marks will be forwarded for the next round. Along with the result, the UPPCL will release Uthe PPCL JE Merit List with names of qualified aspirants. candidates qualified the examination with good merit will be filtered for the next round. Visit the UPPCL Official Website, uppcl.org. On the homepage, look for the Junior Engineer (JE) Result, Selected candidates list download link. Click on the link and provide the required details such as register number, password etc.